With so many things going on in a research site, researchers and scientist need to keep up with the pace and try to jot down every data and observation they could get. 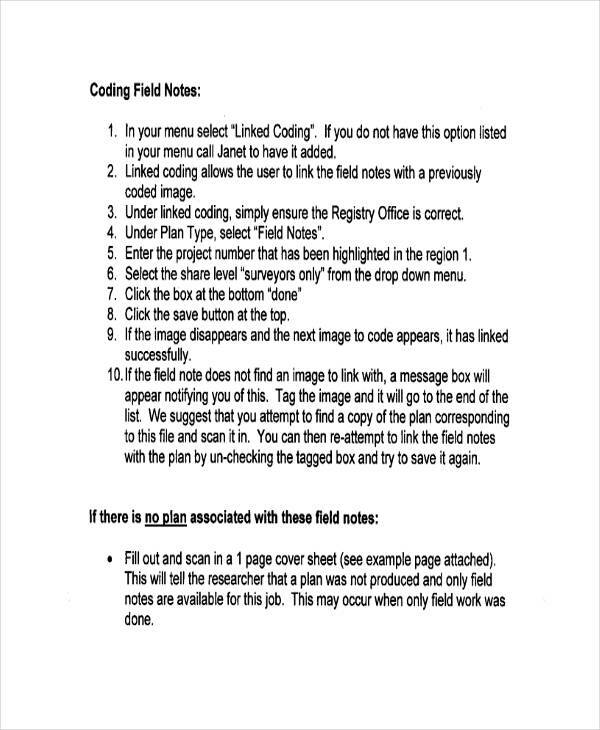 Luckily, they have this tool, called a field note in pdf that helps them record and track every observation they made. However, field note is not as easy as writing a thank-you note. One should have knowledge in a particular field, preferably in science related field. It is because a field note is a complex written document. It contains facts, data, numbers, and math or science terminology that is not easily understood. 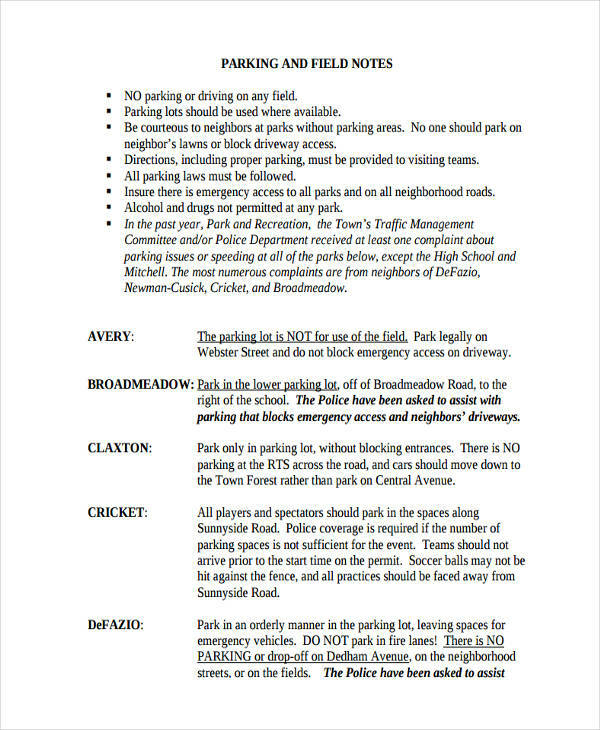 What Is a Field Note? 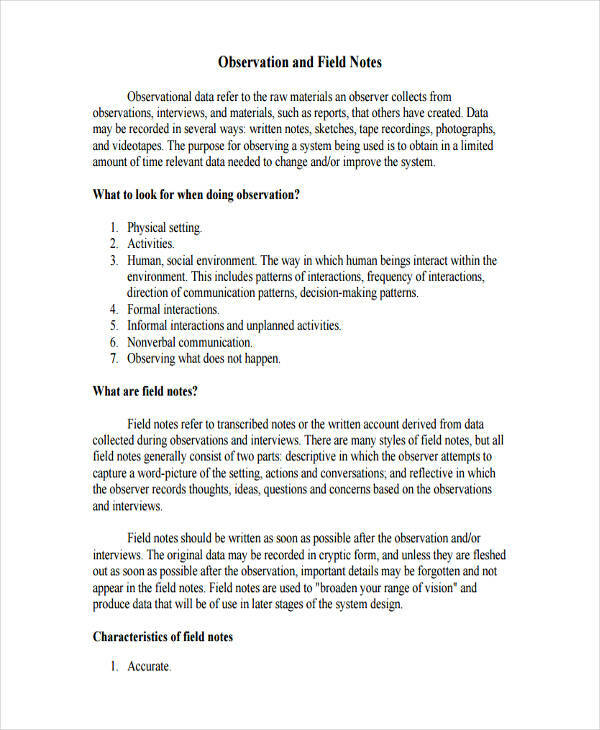 A field note refers to a note created by researchers and scientist in the course of qualitative field research statement. This note is a way for them to remember and record the behaviors, activities, observations, and events of a specific phenomenon that they are studying. 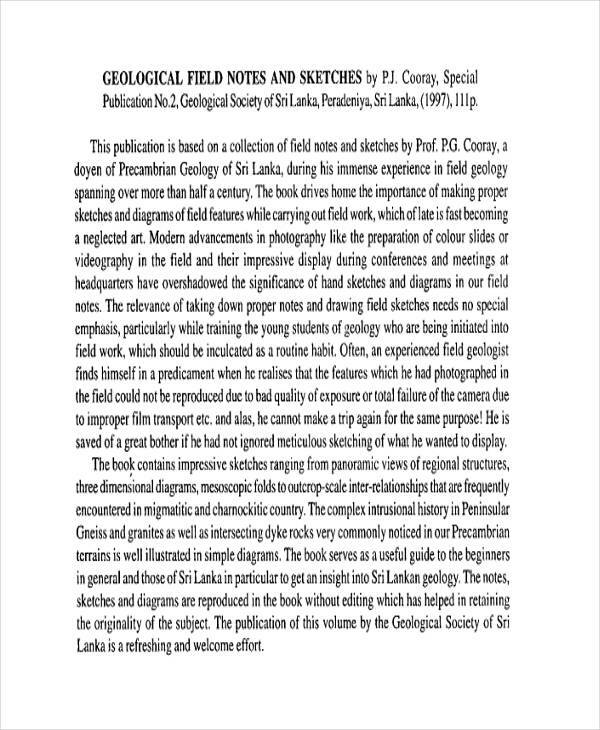 Field notes are intended to read as evidence to produce deeper understanding and meaning of the phenomenon, culture, or social situation that is being studied. 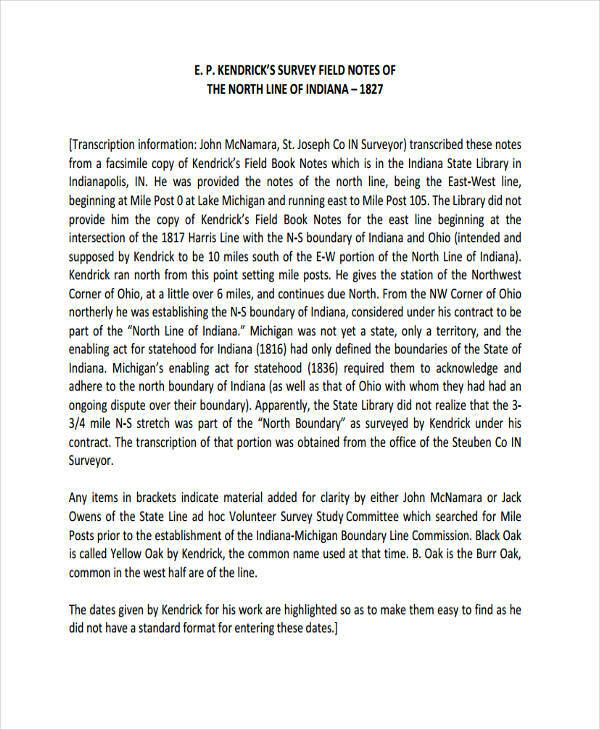 Furthermore, field notes have two components: descriptive information or the factual data that is recorded and reflective information or the observer’s reflection about the study that is being conducted. 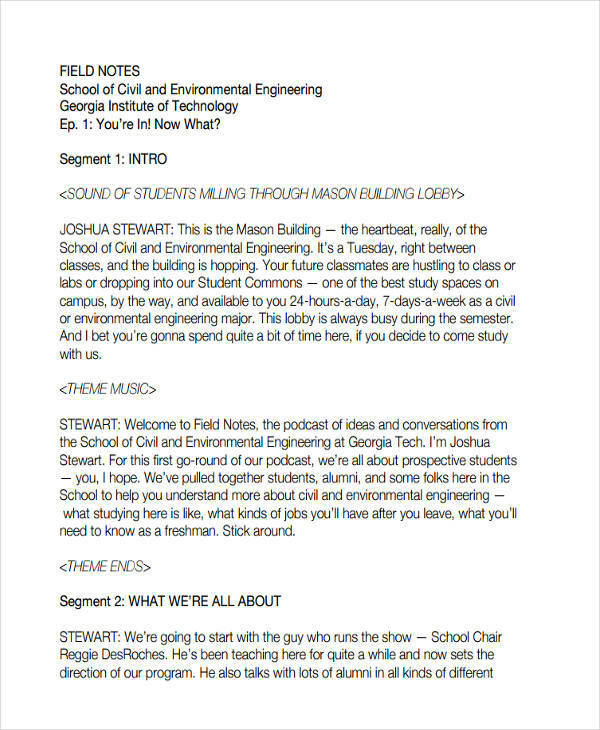 Want to know more about field notes? 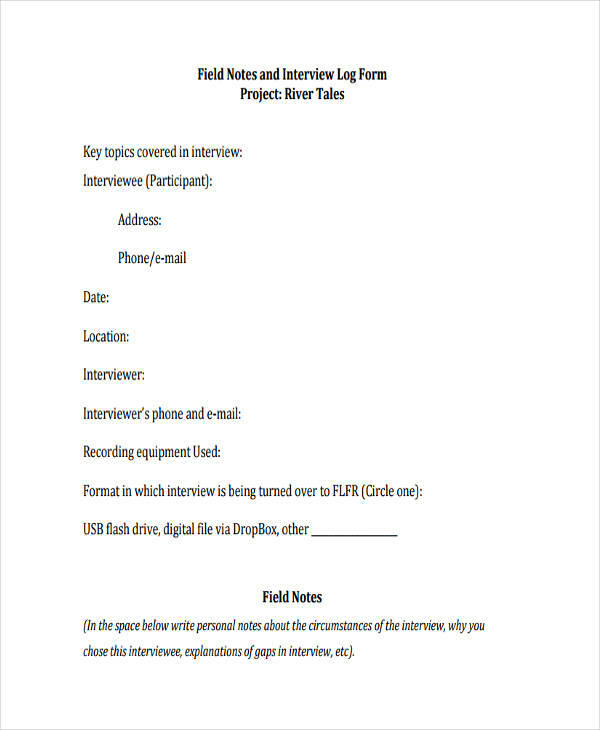 Check out these field note templates here. Date, time, and place of observation. Specific data, facts, and information on what happened on the site. Observations using sensory. Sight, smell, sounds, texture, and taste. Personal reflections of the observation. The hypothesis and questions about your observations. The summary of your overall research and observation. Page numbers to keep your observation in order. Why Are Field Notes Important? Field notes provide accurate observations. The data and facts you have written are based on your actual observation and not coming from an unreliable source. Field notes organized the data you collected. 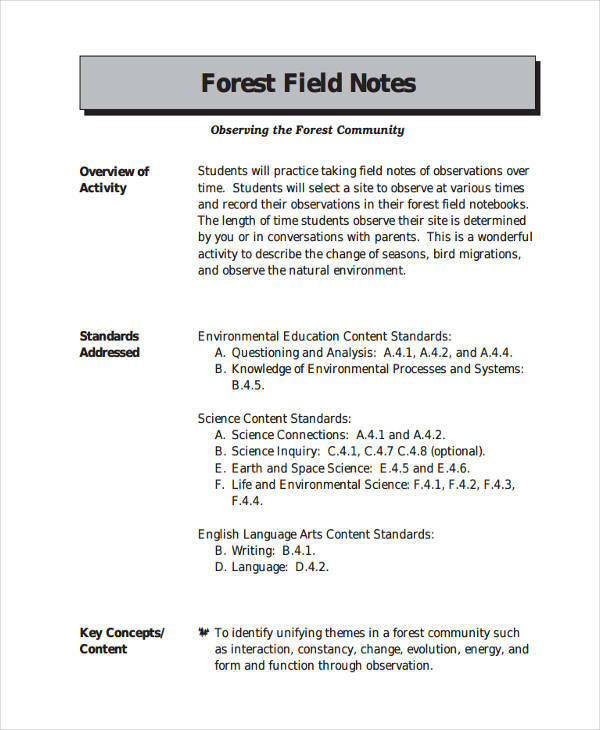 Field notes are written in chronological order and according to specific prompts so that researchers and scientist will not lose track of the observation in Assessment plan they conducted. Field notes are descriptive. The observation is written in a descriptive format so that their colleagues will able to easily understand and comprehend the data that is written by researchers and scientist. Field notes also record personal insights, thoughts, and reflection. Not only facts, numbers, and data are written in a field note. The personal insights, thoughts, and reflection of the researchers and scientist are also included in a field note. This is to give an underlying and deeper meaning of the observation. 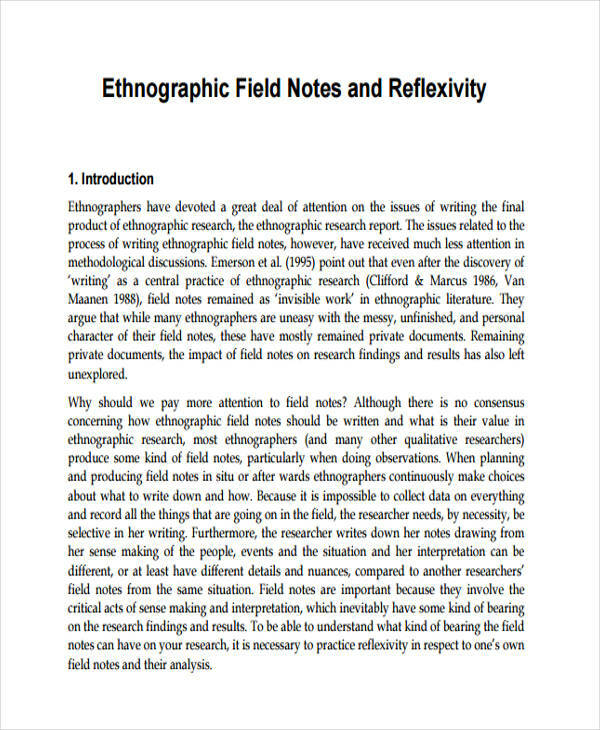 Field notes only focus on the research problem. This is to give more time in analyzing and finding a solution and action plan to a research problem that will be useful for future research. Researchers and scientists also use SOAP note (Subjective, Objective, Assessment Plan) to properly back up their field notes.